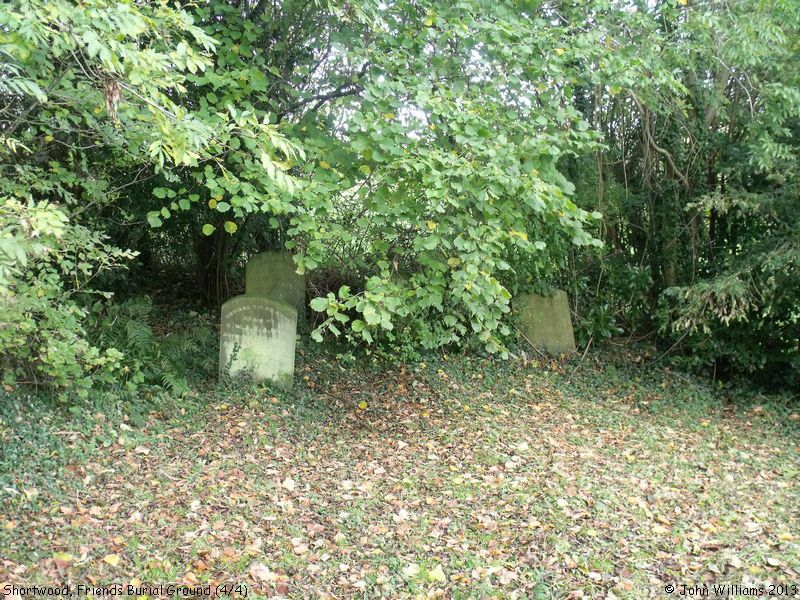 This Cemetery or Burial Ground was founded in 1695, but we don't know whether or not it is still open. 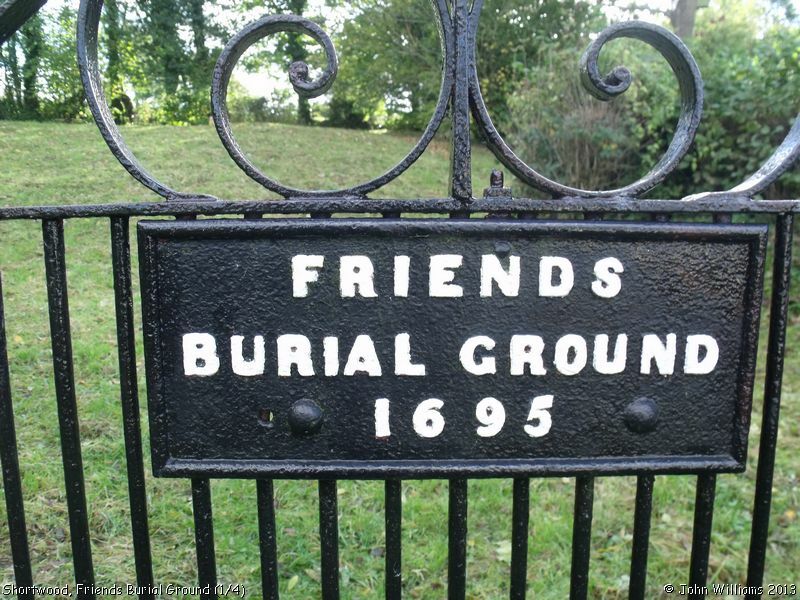 Kelly's Directory of 1923, under the entry for Nailsworth, records that there has been a burial ground for the Society of Friends at Shortwood since 1696 (though as can be seen from our photograph, the board on the gate says 1695). From above, and on Old Maps, the burial ground is shown as 'L' shaped. It is now shielded from the road by new housing, but it is possible to reach it via a public footpath. 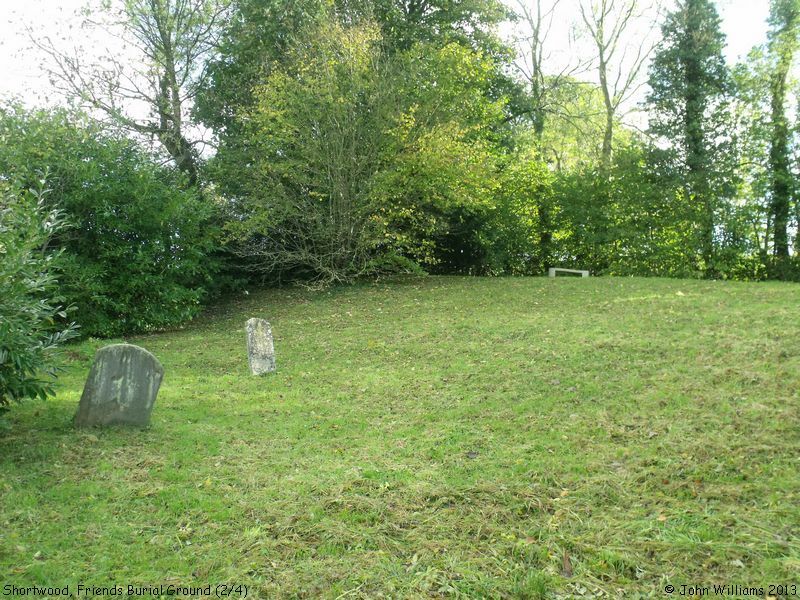 It is mentioned in the Nailsworth Design Statement (Draft for Adoption October 2008), available on Stroud District Council website as "an historic burial ground", so is obviously intended for preservation. The two memorials with inscriptions visible on last of our photos are to Emma GILKES, and Howard Tylor BINNS, 3rd son of G.W. & S.A. BINNS, born [?] 1880, died [?] 1898. Now or formerly a Cemetery (Quaker). 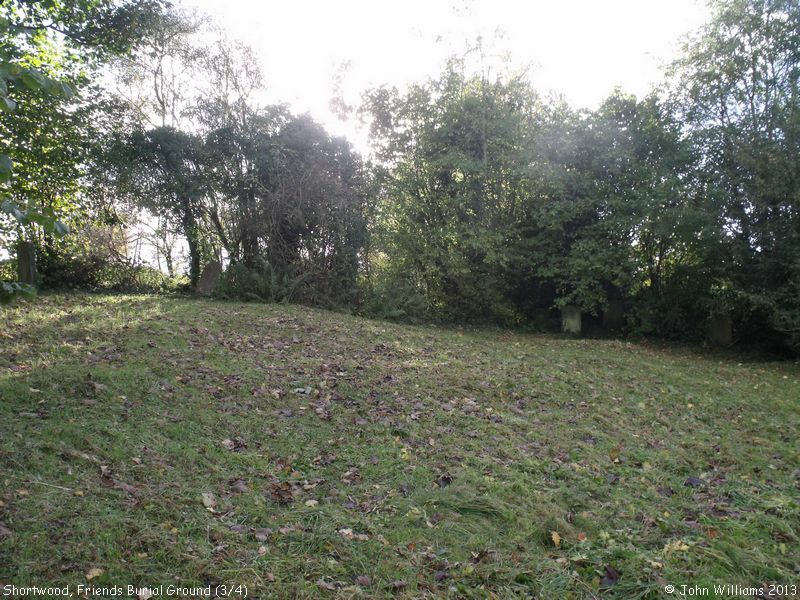 Quaker Burial Ground, Shortwood, Nailsworth shown on a Google Map. Places of Worship in Nailsworth shown on a Google Map. I have found many websites of use whilst compiling the information for this database. Here are some which deserve mention as being of special interest for Shortwood, Nailsworth, and perhaps to Local History and Places of Worship as a whole. Information last updated on 5 Nov 2013 at 08:10. This Report was created 8 Apr 2019 - 00:28:58 BST from information held in the Gloucestershire section of the Places of Worship Database. This was last updated on 7 Feb 2019 at 07:45.